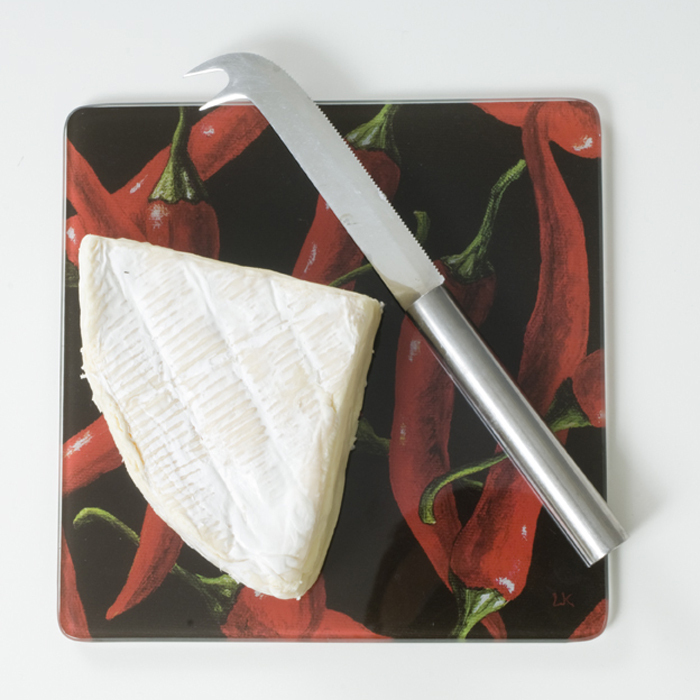 This gourmet quality, tempered glass cutting board/hot plate features an elegant and colourful printed design. The print is fused to the glass on the backside, ensuring long lasting beauty. 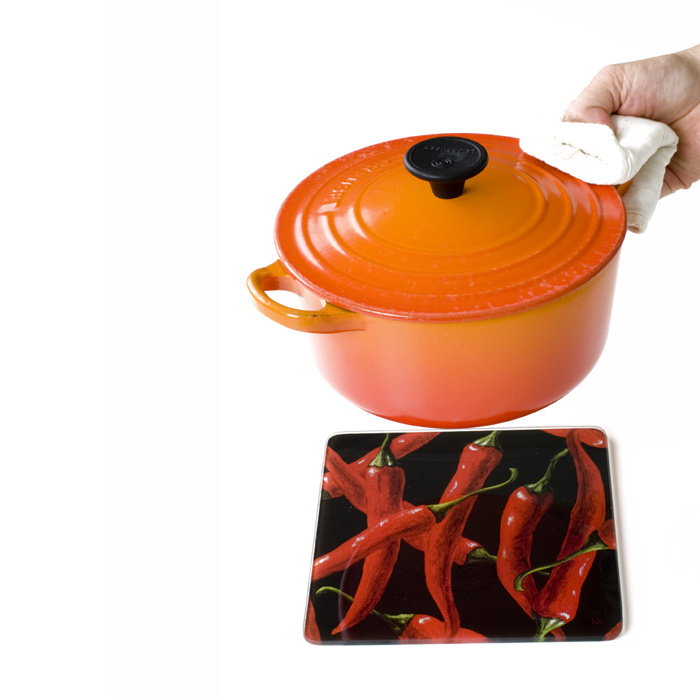 Due to the size it is ideal for chopping small items as tomatoes, lemons etc. It is also great to use as a hot plate. The glass cutting boards are preferred by gourmet kitchen and epicurean professionals because of the anti-bacterial surface, the balance and durability.